Since the late 1990s, the Internet Connected Fridge has symbolised the beginning of Smart Homes. While ridiculed for its impracticality and expense, it popularised the idea of connected devices within our homes. The current definition of a Smart home is 'a home equipped with lighting, heating, and electronic devices that can be controlled remotely by smartphone or computer.' You'll notice how I underline 'current', as the way we interact with machines is evolving to include voice, spatial (think AR/VR) and even neural interfaces. Transparency Market Research forecasts significant growth in the smart home market. In 2016, they estimated a global market value of $30bn rising to $97.61 by 2025 year end. Not only will smart homes make our lives more convenient, but they also have the potential to reduce our energy consumption. This should reduce operating costs and also the environmental and financial burden of grid resources like electricity and gas. 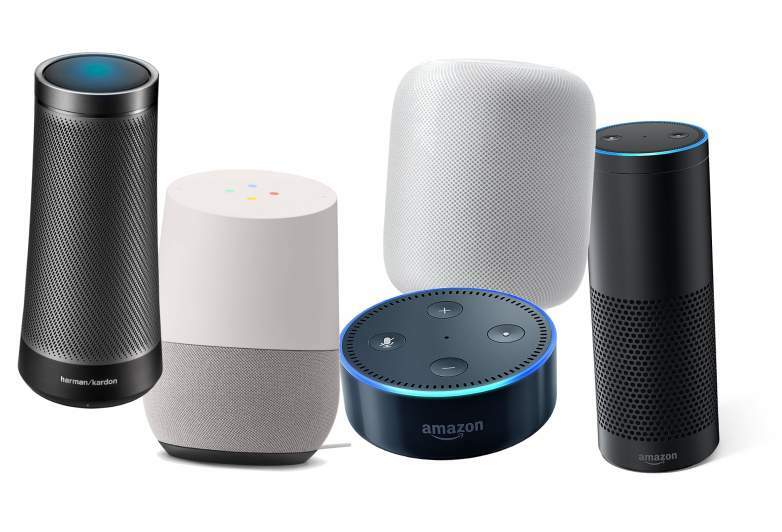 The key trend driving the growth of smart homes is the rise of 'AI powered' smart speakers including Amazon's Alexa and Google's Home. Both are racing to become the ‘Operating System of our homes’, each aiming to spawn a plethora of devices and apps created by others, based on their respective ecosystems. This business model is how Apple kickstarted the market for independently created apps when it launched the iPhone in 2007. Current use cases for these smart speakers include security, entertainment, temperature regulation monitoring, controlling energy usage and more. Either way, today's smart home is still controlled by us, usually through a smartphone or voice-activated assistant. The future will be entirely different as our homes will be controlled by AI, with just the parameters set by us. The key is integration. For example, our washing machine might break down, but it will be empowered through our digital assistant to automatically book an engineer to fix it. Or maybe our fridge will know that we're on a diet - and lock itself between meal times? Take that one step further, and our toilet might analyse our waste to determine whether we've cheated on that diet or, perhaps more helpfully, assess for signs of disease or illness. Of course, all this subtle and unintrusive analysis will yield mountains of new classes of data. The question is: who owns it? Will our home insurance company give us lower premiums in return for real-time access to the data our smart home creates? Or will our life insurance company hike the premiums of people who lead more risky lives? As AI advances, it will learn to understand more abstract concepts. Our smart speakers will learn to move beyond simple instructions related to temperature and music choices. How about 'Alexa, I need to chill out now.' The system responds by dimming lights, playing your favourite music, answering your emails and phone calls and even ordering a pizza. Our voice assistants will get to know us better than our friends and family. According to Gartner, they'll not only listen for instructions but analyse our feeling state by detecting changes in our tone of voice. Smart kitchens - How about instantly reordered coffee? Smart sleeping - Mattresses with sensors to alert our home hub that we're waking up. Smart bathroom - Self-cleaning toilets that track and analyse our urine - and baths that measure our brainwaves to create greater relaxation. We're still years away from 'Alicia Vikander', the robot that experiences its own sentience in Alex Garland’s film, 'Ex Machina'. That said, Amazon, Alexa and Huawei all have programmes in place to develop simpler forms of robot that will likely be mainstream by 2025. For example, Huawei is developing a home robot that will teach English to Chinese children. Expect to see more applications emerge, especially in cleaning, security and entertainment. Not only will Robots serve us during our waking hours, but Somnox even claims to 'help you sleep faster, longer and wake up refreshed by slowing down your breathing, focussing your attention and playing soothing sounds.' If you're in any doubt about the growth of robots in society, it's worth reading Logan Streondj's blog post. He provides a thoughtful analysis concluding yearly robot population growth will reach parity with humans by 2040. He even forecasts a world by 2070 where robots outnumber humans by 10 to 1! Should our Smart homes concern us? Smart homes have huge potential to make our lives more comfortable, easier and give us back more time. But we owe it to ourselves to be aware of the resulting challenges and threats. One of the big issues is an old one dressed up in new ways. Data! Who owns and who protects all the data generated by our homes? The tech companies providing our smart speakers will have unprecedented insight into our private lives. That data also creates a new dimension to threats from hackers. For example, if Amazon is using the data from your fridge to create automatic food orders, then shares that information with the supplier, how will they protect your data so a third party supplier doesn't sell it on to others? Even then, that assumes the system is working as expected. There are still kinks to be worked out. You may remember the story of how Alexa recorded a private conversation, then sent the audio file to a random contact? Smart homes are also potentially vulnerable to bad actors - deliberately out to exploit weaknesses. For example, a burglar could remotely disable security devices and open your door by hacking your smart devices over a wifi connection. A further crucial challenge is how government regulation has shown itself to be painfully slow in catching up with technological progress. Advances in AI show this to be true across the field. IoT connected systems will generate huge quantities of personal data. They'll know what you're doing, what you're saying and eventually - how you're feeling. All done via location tracking, voice recording and analysis, consumer & medical data and eventually your genetic data (remember the toilet that analyses your waste?). At a minimum, this information will likely be used to market products and services to you. At a more heinous level, it can be used to commit crimes against you, your family and your property. For example, “A toy that includes a webcam, for instance, could allow an online attacker to connect to the toy and turn on the webcam.” Your smart devices could even provide evidence implicating you in a crime. How is 'normal' decided, and by whom? What standards will be used to define a healthy diet, the right amount of exercise, a good sleeping pattern? How much autonomy will our digital home assistants be given to control our lives? Could smart health technologies alert our insurance providers, even if a minor infraction was committed? Could smart technologies potentially create a new issue of overdependence on technology to do menial tasks? 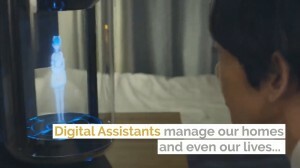 They could also create a raft of new associated 'digital housekeeping' chores. Imagine the setup, firmware updates, fixing problems, tidying cables etc.? Hopefully, these are non-issues, but we could end up replacing one form of labour with another. The tech giants are clearly vying to become the operating systems of our homes. While they battle it out, I hope we'll see greater interoperability standards arise. Smart homes rely on connectedness, but this only works if our devices can communicate with one another. That said, smartphones have shown us that Apple (iOS) and Google (Android) coexist with one another in uneasy competition. Device and app creators will likely find themselves building for more than one operating environment - in the short to mid-term at least. As with all new technologies, we must remain mindful about both intended and unintended consequences. With proper execution, most of these problems could be fixed through GDPR compliant informed consent, concise end-user agreements and easy to implement user opt-outs. That said, these could turn out to be inadequate based on current usage patterns. Do I stop to read T&C's before signing up to a new service? Not really. Personally, I look forward to the day where I can simply say 'Alexa - I want to chill out now' and it takes care of everything for me.